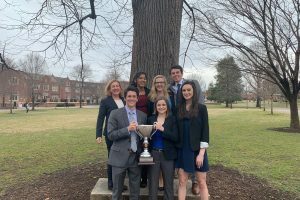 Campus Kitchen at W&L Hosts 7th Annual Souper Bowl Proceeds will support CKWL's Backpack Program, a hunger-fighting project that began in 2009. 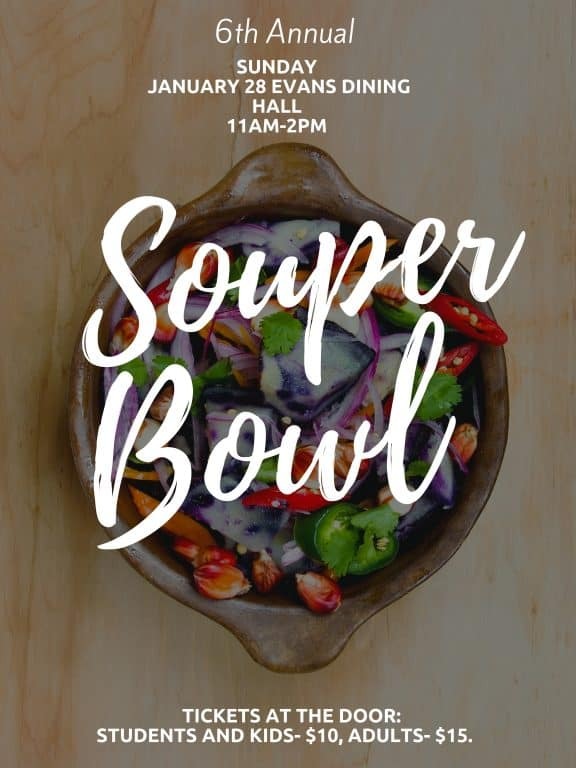 Community members and local college students can band together against childhood hunger in the Rockbridge area one soup bowl at a time by attending the 7th Annual Souper Bowl in Evans Hall at Washington and Lee University on Jan. 27 from 11 a.m.–2 p.m. Participating restaurants, caterers and bakeries will serve soup creations — many using local ingredients — and desserts while Washington and Lee’s acapella groups entertain. This year’s Souper Bowl participants include Blue Phoenix, Blue Sky, the Bistro on Main, CHEFS Catering, Full Circle Catering, the Georges, LexMex Tacos, Napa Thai, Palms, Pronto Caffe and Gelateria, Pure Eats, the Red Hen, Rocca, the Sheridan Livery, the Southern Inn Restaurant, Sweet Treats Bakery and W&L Dining Services. New this year Rockbridge Chavurah will provide a Matzah Ball Soup. 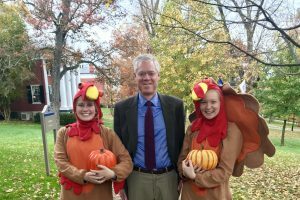 All proceeds will support Campus Kitchen at W&L’s Backpack Program, a hunger-fighting project that began in 2009 as a partnership between CKWL and local schools. The program has served all area elementary schools and Head Start programs providing nearly 700 children with a bag of non-perishable food items to take home with them for the weekend. The goal for the 2019 Souper Bowl is to raise at least $10,000, enough to fund roughly three months of the program. CAPTRUST, a financial advisory firm with an office in Lexington, sponsors the event and all ticket fees and additional donations go directly to the cause. Tickets are available at the door, students/kids for $10 and adults for $15.